This page will be updated soon…. There are a limited number of spaces available to visitors who wish to stay on site and bring their caravans/motor homes throughout the 2019 National Shire Horse Show. 2019 Shire Horse Society Members: *£40.00 (including VAT) for pitch fee only. Non-members: *£78.00 (including VAT) and includes pitch fee and two adult tickets for two days (worth up to £48.00). Shire Horse Society Members gain entry to the Show via their 2020 membership badge on all three days of the Show. Your two-night stay can start from either mid-day on Thursday, 21st March or anytime on Friday, 22nd March or Saturday 23rd March. 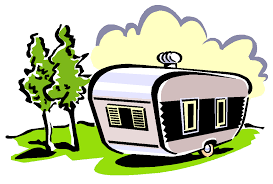 All Caravans must be off the site by 11 am on Monday, 23rd March 2020. Well behaved dogs on short leads are welcome at the Show and we ask that you do clear up after them. Bookings can be made via post or email (see form at bottom of page) or by calling the office on 01536 771611. Please send completed form with payment to the Shire Horse Society, Shire Farm, Rockingham Castle & Park, Uppingham Road, Rockingham, Market Harborough, Leicestershire, LE16 8TP. If you cannot find the answer to your question in our FAQs section, please contact the Office on 01536 771611 or email info@shire-horse.org.uk for further information. Caravan passes must be displayed in your caravan on site.